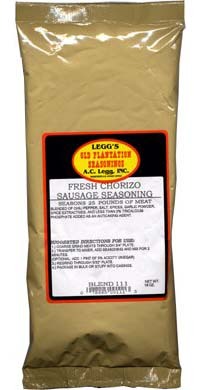 Leggs Old Plantation Chorizo sausage seasoning can be used to make fresh, smoked, or dried Chorizo. 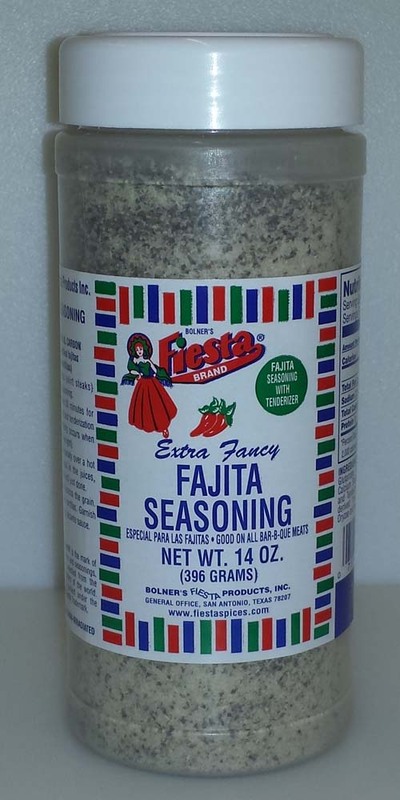 This excellent seasoning blend also works well to flavor beans, chili, and many mexican and southwest style dishes. 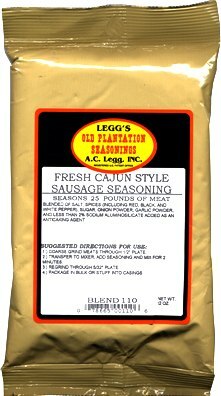 One bag of seasoning makes 25 pounds of sausage. Suggested directions for use printed on the label. 16 ounces. 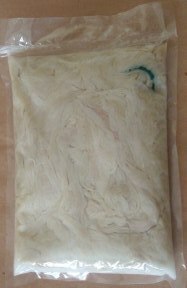 Blended of Chili Pepper, Salt, Spices, Garlic Powder, Spice Extractives, and less than 2% Tricalcium Phosphate added as an anticaking agent. All natural spices and spice extractives. From Anonymous of Commiskey, Indiana on 4/14/2017 .